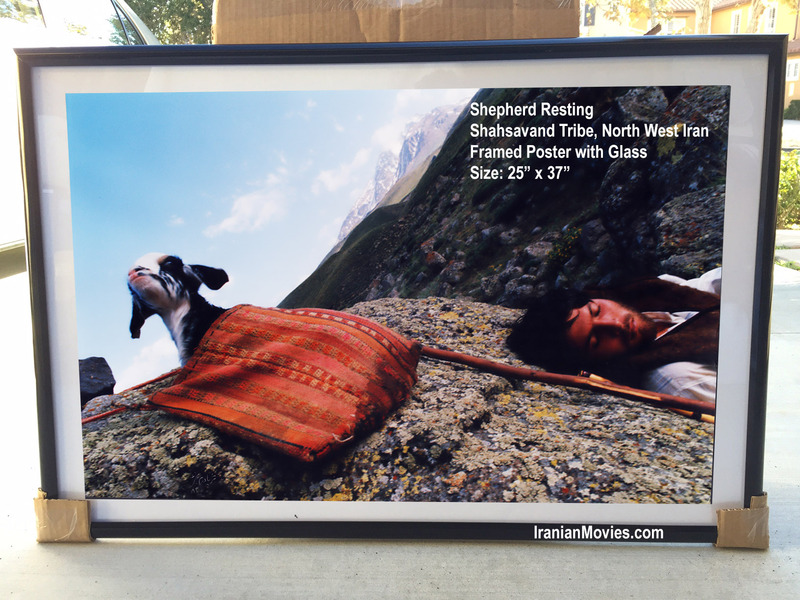 Picture of a young shepherd resting, from the Shahsavand tribe of North Western Iran. A beautiful photo enlarged and placed inside a nice glass fame. Will look great on your home or office wall. One of a kind! This is a very unique picture offered only on this website and you can not find it anywhere else. Order it now, to decorate your home or office. Hang it on your own wall to impress your guests and friends or order it to give it as a very unique and everlasting gift to someone you care about. He or She will love it and would appreciate it very much.